Heat is one thing for which West Texas is famous. At Comfort Masters, our name says it all - we can assure that your home or office is comfortable even when the temperature dares to break records. We carry the best equipment available, and offer a range of solutions. Cooling your home or office is often thought to be very expensive, but not with our economical Carrier Heat Pumps. From the lower cost in installation to the more efficient operation these will save you money today and long into the future. 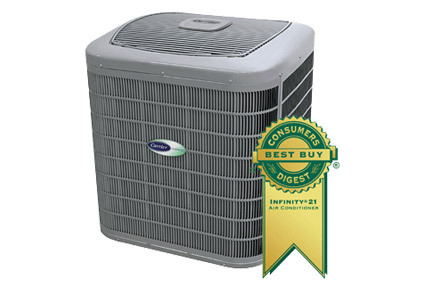 At Comfort Masters we install and service Carrier and all other brands of air conditioners. 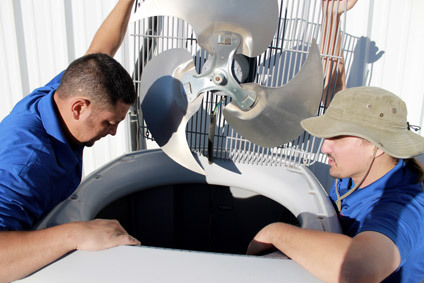 Our professional technicians can service virtually any air conditioning system, ranging from refrigeration-based units to evaporative coolers. We can help you keep your system tuned for top performance, which means saving you money and assuring you receive maximum benefit from your equipment. When you need service, Comfort Masters is your choice for timely, capable system repair and maintenance by experienced professionals.